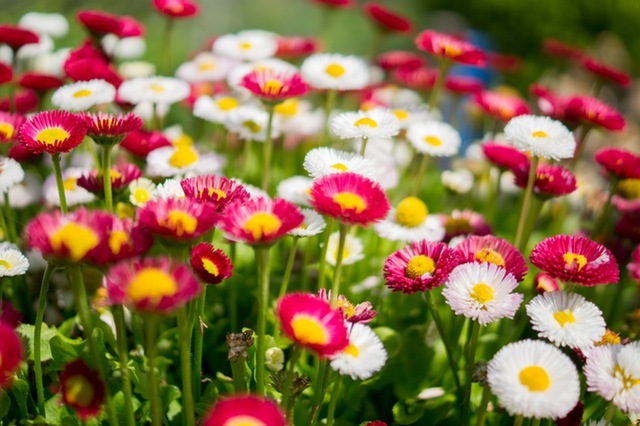 Annual flowers add color to your yard, but need to be replanted each year. However, they are appealing because of their versatility. 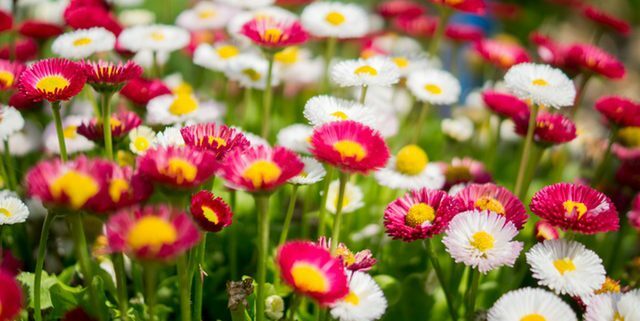 Annuals bloom in a wide variety of colors, shapes, and sizes and are great to plant in the summer months because they love the heat. There are numerous types of annuals that can add color and dimension to a garden. And because they are so adaptable and bloom throughout the season, they are well-suited for a variety of purposes. Vining Annuals: Morning glories, cardinal vines, and cypress vines are all fast growing flowers and vines that grow rapidly and can climb up to 15 feet. Plant them in a sunny spot and enjoy the purple, pink, red, white, and blue shades of flowers that bloom each morning. Trailing Annuals: These flowers are great to use in window boxes, hanging baskets, and other containers. Mix up the flowers for a variety of colors. Some great choices for trailing include verbena, snapdragons, and petunias. Make sure the soil is well-drained and the flowers get plenty of sun. Mounding and Upright Annuals: For instant “punch” to your flower beds during the summer months, group these together with contrasting colors and staggered heights. Zinnias, geraniums, sweet alyssum, and blue salvia all work well to create texture and color in your garden. Typically, these flowers retail in packs of three to six small plants. Look for plants with healthy leaves and plant them soon after purchasing so that they don’t dry out. Prepare a flower bed or container with loose, well-drained soil and make sure to water them regularly. At Shorb Landscaping, our team of landscapers and designers can help you incorporate colorful gardens in your landscape design. Call us at 301-897-3503 for a consultation, or visit our project gallery to see past work. The garden looks BEAUTIFUL, thank you so much! And it rained a little bit last night, so maybe keeping up with the watering will be easy. We appreciate your thoughtfulness, as well as the fantastic service from the entire John Shorb team throughout the year. I just wanted to let you know that the guys with Shorb did an incredible job on our yard yesterday. Everything looks great! Shorb did an awesome job. I was very pleased! The crew from Shorb was very professional and courteous. And they performed the maintenance work with great attention to detail. We would like to also thank you for another year of wonderful service! As always Benito and his crew do a beautiful job taking care of our landscape :-)!!! He is always so happy to answer any questions I have, etc. It is always a pleasure to see him! Nadine, I always appreciate your willingness to meet about anything I have questions about, etc and always getting right back to me about things! Would you like to discuss your maintenance needs or an idea for a landscape design or installation project? How to Create a Welcoming Garden for Birds Perennials – Some Fun Facts!